Here in New England, it’s almost like the snow hasn’t stopped falling since we ran a truck tire testing updatelast month. The abundance of snow this year made it possible to evaluate the snow traction capabilities of our truck tires at our Connecticut test facility, avoiding a trip to northern Vermont. (See from last winter: "Behind the scenes: Consumer Reports snow-traction tire testing in Vermont.") We run our standard snow traction acceleration test to evaluate how tires perform in the white stuff, measuring the distance traveled from 5 to 20 mph. The shorter the distance, the better the tire grip. What we found was that our test data supports our subjective observations: A winter tire can provide secure grip to accelerate and stop on snow. And winter tires work better than an all-season and all-terrain tire we tested for comparison. Many people make a winter tire purchase solely on the idea of avoiding getting stuck in the snow. And while that has its merits, we think it’s more important to value tire grip for stopping, possibly helping you to avoid a collision. Here, our winter tire stopped at 13 and 16 feet shorter than the all-season and all-terrain tires, respectively—and that was from a relatively slow 20 mph. 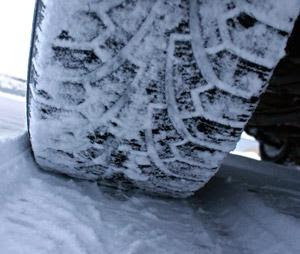 Bottom line: If you need to be on the road in wintry weather, consider a winter tire for the best grip to start and stop. That’s especially important to drivers of all-wheel-drive cars and trucks who think they don’t need them. In truth, they may have the get-up-and-go traction to battle winter weather, but they cannot stop any better than a car without all-wheel drive. Only winter tires and your good senses will help that. Be sure to check out TiresByWeb.com - Your Supplier of Winter Tires Since 1977!